You can write what we don’t know about digital TV aerials and satellite on the back of a postage stamp. That’s been torn in half. That’s how much expertise and experience we pack into the Slough Aerials & Satellites offices. And we’re ready to share our know-how with the residents and businesses of Reading to install or repair your TV aerial or satellite today. Here’s just some of the digital and satellite TV providers we can install and maintain, repair and replace in Reading and throughout the RG postcode towns. For starters, we’re open 7 days a week, so we’re on call when you need us and ready to send an Engineer to help. We’re also fast workers, with 95% of jobs done and dusted on the day we start them. TV WALL MOUNTING IN READING - for businesses and homes in Reading. Get that smart TV off the table and looking even smarter on a bracket on your wall. AUDIO VISUAL SPECIALIST IN READING – give your home that cinema feel with awesome sound and vision, or create a truly impressive presentation suite in your office to really wow clients at pitches. MULTI-ROOM – end the sulking when someone can’t watch what they want, when they want. Get us in to install more sockets so Freeview and Sky can be enjoyed in more rooms around your house. Our Experience: we know all things digital aerial and satellite TV related, and have the reviews and recommendations to prove it. Our Service: Friendly and professional from the off, we’ll do all we can to resolve your digital TV problem in the quickest time possible. Our Quotes: we price our work fairly and are quick to provide written quotes. Our Work Rate: our expertise means we’re quicker than most when it comes to getting to the crux of a problem and fixing it. Our Independence: we’re proud of our independence because it allows us to provide advice and recommendations that are unbiased. Our Availability: we’re open 7 days a week and ready to get to Reading when we’re needed. More often than not, we can get there on the same day you call us. 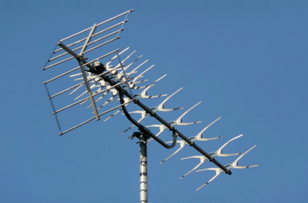 Our Skills: Some companies won’t touch satellite dish installations that are too high up, or digital aerial repairs that are too hard to reach. But we consider every job. 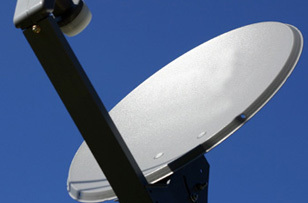 READING SATELLITE TV USERS – CALL US WHEN YOU NEED US. 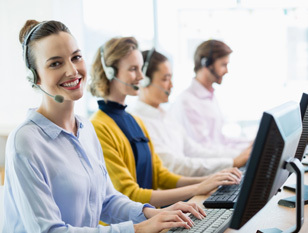 Having our phone number on speed dial leaves you just a few taps of your smartphone away from accessing one of the best satellite repairs and installation businesses in the Reading area. We can supply the hardware and the know-how to install all versions of Sky, including Sky-Q, as well as Hotbird, Freesat, and other UK satellite services. For quick quotes, a same day service, and a business that’s open 7 days a week, call us first. Leave digital aerial repairs or upgrades and installations to the experts. That’s what we’d recommend here at Slough Aerials & Satellites. And many customers in Reading would agree, because we’ve helped homeowners and businesses fix, upgrade or totally overhaul their digital aerials to give them a better reception so they can enjoy Freeview, BT Vision, NOWTV and DAB Radio. Give us a call and we’ll do the same for you.